Translation: Tatsuhiko Akutsu famous Brazilian artists and musicians come from Bahia. 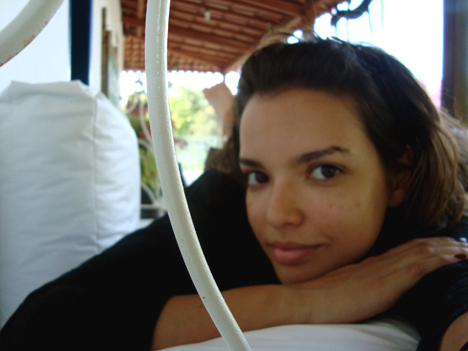 She came to Rio about 5 years ago to attend university and left only to spend a short time in New York and Paris. She lives in Ipanema with her fiancée, who is a film director. I’m a journalist and producer, and I work in Rio’s art and music community. As a journalist, I’ve worked with Globo TV and freelanced for various newspapers. I’ve also produced concerts for artists such Wax Poetic, a band from New York, and Jam da Silva, a great Brazilian percussionist. I do freelance work for major artists who tour in Brazil, such as Elton John, Diana Krall, and The Police. Rio is a city that seamlessly combines cosmopolitan life and natural beauty. Cariocas, as people from Rio are known, are open-minded, relaxed and know how to enjoy life and the city. They know how to be elegant and how to live life as a bohemian, sometimes in the same day. Rio’s vibrant atmosphere has produced some incredible art and music, and it’s not just about samba. The city is full of musicians, actors, filmmakers, dancers, artists—Brazilian or otherwise, they call come here because it’s so easy to find inspiration among the natural beauty and relaxed vibes. Please tell us a favorite places in the city you live and work in. I always love to go to Parque Lage, an antiquated and slightly imposing house surrounded by a forest at the base of Corcovado. The building houses an art school and a great bistro that serves a breakfast and has live music on the weekends. I often go there for the Charles Wattson creative courses and for quick inspiration during the week. Another charming hidden spot is Bar Urca. On a dead-end street on the shore of Guanabara Bay near the iconic Sugar Loaf rock monument is the best little joint in Rio. There are no tables or chairs, just a bar that serves old school Brazilian beer. There is a short wall that runs along the sea—it is the best place to spend the afternoon watching the sunset.